“We have a very complete and deep range of products, for all kinds of players, that have proven to out-perform the best products in the most diverse markets worldwide. On top of that, we offer flexible commercial models to the operators that enables them to get our best products and refresh their casino floors, to be able to provide an outstanding offering to their exigent customers.” comments Johnny Viveiros Ortiz, founder of Zitro. The rapidly growing product portfolio has forced the company to again book a larger booth at the London show than the previous year. “Our expansion plans are materialising well above expectations as we have entered into more markets this year than any other year before. Priority for us is therefore to keep investing in R&D and further deepen our various product lines. Visitors at ICE will see first-hand how choosing Zitro products for their operations will secure their investment. Zitro is now, more than ever before, a sure bet!” Johnny adds proudly. Within the BRYKE Video Slot product range, the world’s best slot product of the moment ‘Link King’ will take centre stage of Zitro’s booth. Link King has been demonstrating a tremendous success all over the best casinos in the global market making its way up and maintaining performance at the very top of the venues. Link Me, also a multigame LAP bank with a panoramic sign is demonstrating the same kind of success where it has already been installed and will reach casinos on an international scale very soon. Link King and Link Me, are both an absolute sure bet! Within the same product line ‘Link Shock’ will make its global debut. This high energy multigame progressive Link promises to keep players electrified with its mystery shock feature. Another premiere will make Hit Me up 2! After the successful presentation of Hit Me Up! At G2E Las Vegas, this second version has also the exciting 6-level mystery progressive meter, however the maths of the game is conceived to attract high stake gamblers that like to win big. On the booth will also be on display classic standalone multigames such as Pick & Win, Hot Deal, Spin Hit and Smart Spins, and the multigame LAP banks such as Blazing Pearls and Guns & Gold. As the world leader in Video Bingo, Zitro is once again bringing a new twist to video bingo with its super-hot Power Bingo Link, a linked Video Bingo LAP with a 4-level progressive jackpot and innovative game mechanics that differentiate it from the traditional Video Bingo games, without losing the essence of what players look for in this category. Zitro will also showcase its updated Video Bingo games library that includes thrilling titles such as Fireworks, Lucky Children and Maximus, with impressive and unique Bonus features. Zitro Interactive will have its very special place at Zitro’s booth, showing for the first time in public its totally new freemium application ‘Let’s WinUp!’ that includes Brykes best performing Video Slot games and Zitro’s leading Video Bingo games in one single social casino. For online casino operators, Zitro Interactive will show its full range of Bryke online slots as well as the proven Video Bingo games. “Zitro is the undisputed world leader in Video Bingo, and now, with the deeply diversified and proven Bryke Video Slot product lines, that are outperforming some of the world best slots, a true global leader of the gaming industry and a sure bet for any casino operator in the world.” finalises Sebastián Salat, CEO of Zitro. 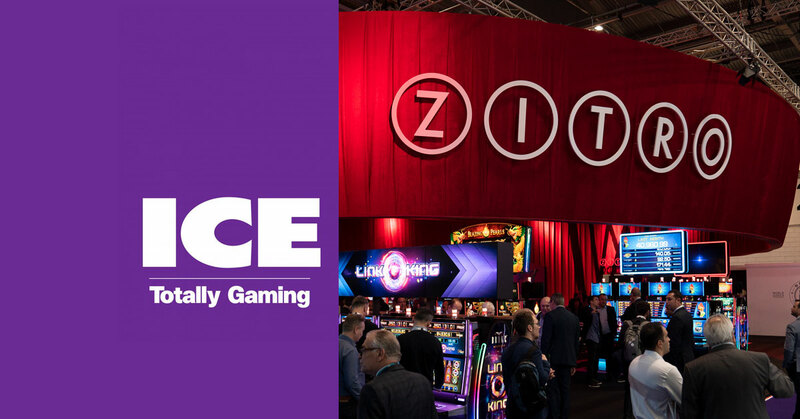 Zitro will be at booth#N6-160 at ICE Totally Gaming in London, which will be held from February 5th to 7th at the Excel London Convention Centre.